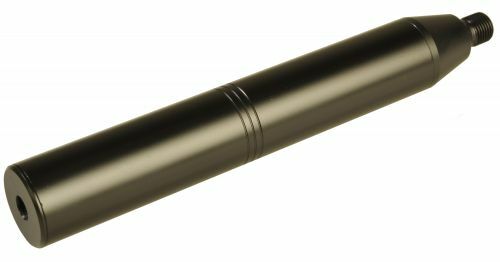 Wighill Park Guns | Products | Air Arms Standard Silencer. Air Arms silencer for the TX200 hunter carbine. Air Arms TX200 Hunter Carbine Walnut Stock. The moderator is threaded to perfectly screw into the internal thread on the Air Arms TX200 Hunter Carbine. Silencer 1/2″ UNF male thread.